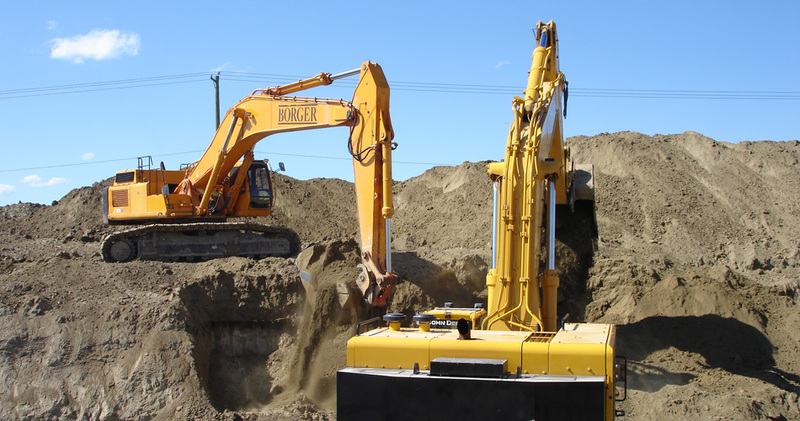 Borger Underground specializes in major projects within the City of Calgary and other Municipalities. Major projects include deep sewer trunk lines, city feedermains, municipal forcemains and installation of lift stations. 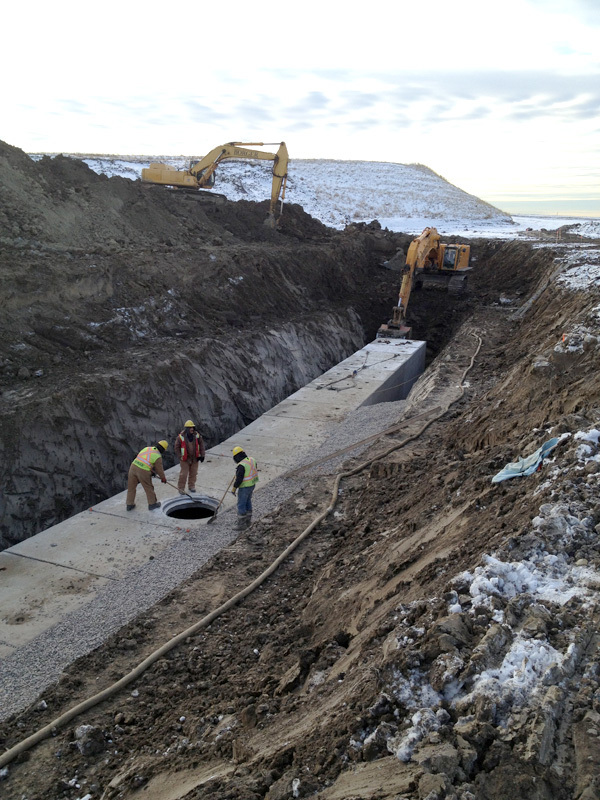 The most recent major project that Borger has successfully completed was the new Potable Water Supply Main, which involved supply and install of over 10,000 meters of water pipe to the City of Airdrie. 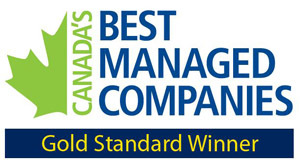 This project required installations through, the City of Calgary, Rockyview County and the City of Airdrie. Multiple air release valve chambers and valve chambers were installed as well as a large diameter meter chamber and booster station. With the assistance of its very experienced Projects Team, Borger was able to complete this project is a timely fashion and provided water to the City of Airdire residents within 5 months of construction commencement. 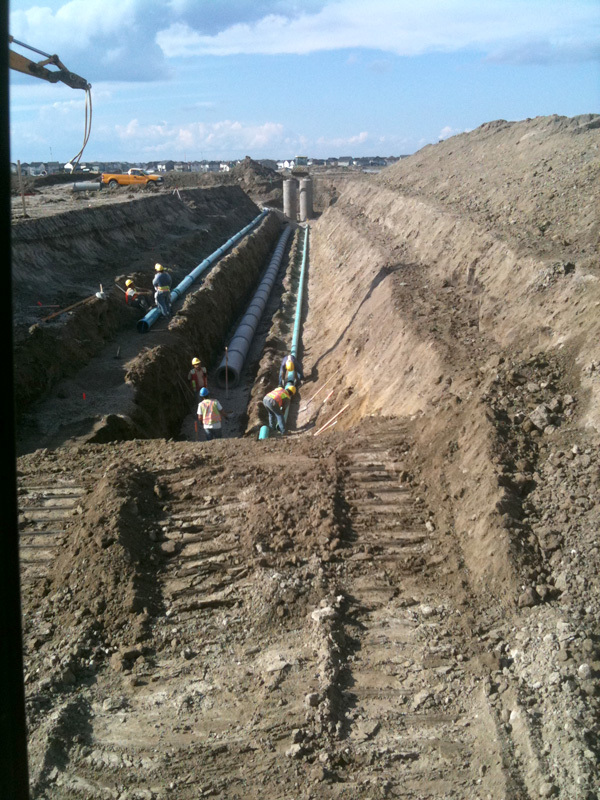 Similarly, Borger had completed a 10,000 meter sanitary forcemain from the City of Airdrie to the City of Calgary. 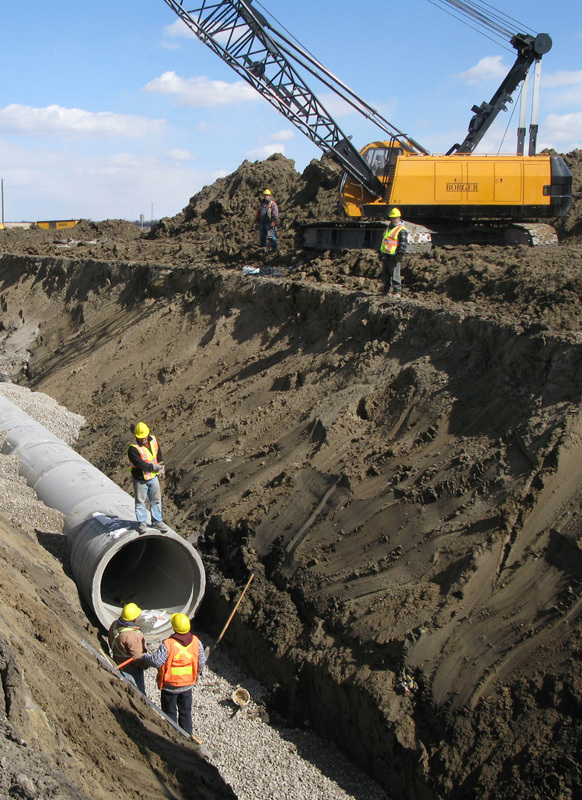 Borger also specializes in subcontracting and managing trenchless crossings of major highways and environmentally sensitive areas such as wetland. With a variety of trenchless crossings ranging in sizes and challenges completed, the most recent project involved a 500 meter directional drill crossing under Stoney Trail in North East Calgary. Installation of water intakes is another major project that Borger specializes in. The most recent project successfully completed was the Springbank Harmony Water Intake in the Bow River. Cofferdam installation and water diversions were the major tasks implemented to install the intake pipe in the river. The pipe was protected with class 1 and class 2 rip-rap.